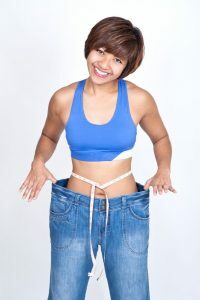 Two of today’s most popular diet plans are the keto diet, which is also known as the ketogenic diet, and the Zone Diet. How do these two diets compare to one another? Which one is ultimately the healthier and more effective option? Keep reading to learn a bit about these diets so that you can make the right decision for your weight loss needs. Put simply, the keto diet encourages people to follow a low-carb, high-fat eating plan. More specifically, your diet would be made up of 20% protein, 75% fat, and 5% carbohydrates. The lack of fiber from the carbohydrates, and the lack of energy from carbs, makes this diet a dangerous one. Plus, when you look at how much fat you are consuming on this diet, it is pretty obvious that the keto diet can adversely affect various aspects of your health in the long run. What are some of the side effects of following the keto diet? Well, low blood sugar can lead to mental and physical fatigue. The immune function of the dieter can also decrease, making you more susceptible to illness. Lack of fiber in the diet can even lead to cardiovascular problems, and this improperly balanced diet can even put a strain on other organs, such as the liver and kidneys. Unlike the keto diet, the Zone Diet is a more moderate approach to eating right for weight loss. The focus is more on macronutrients, and deriving the benefits of those macronutrients by getting the right balance of each in every meal. Put simply, you would aim to create meals that are balanced with 30% protein, 30% fat, and 40% carbohydrate. This is much healthier and much more in line with how a human should eat for energy and overall wellness. Also, even though the keto diet might lead to some weight loss early on, it isn’t sustainable. On the other hand, the Zone Diet can help you achieve greater weight loss than the keto diet after the first three weeks of following it closely. As you can see, the Zone Diet is the clear winner against the keto diet. There are simply too many potential side effects, some of which can be extremely dangerous, when following the keto diet. Plus, the keto diet could not only cause unwanted side effects in the short term, but in the long run as well. So, if you want to lose weight, get in shape, and avoid adverse health effects along the way, consider trying the Zone Diet.